Your clients can depend on you for quality, reliability and style. You can depend on us to provide a bespoke service – without compromise, without fuss and without delay. Whether it’s traditional elegance or modern chic, mellow timber or contemporary limestone, our experience and expertise will deliver your design to your exact specifications. 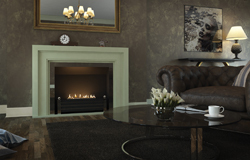 We can make any style of fireplace from virtually any material currently quarried! The hearth is the heart of any home – and the focal point of your vision. Don’t settle for second best. Contact Stone and Fire now to see how we can meet your needs. Our specialist firm, located in central South East England, is also the UK agent for several suppliers of natural stone in Spain, Italy and Portugal, (including Luso Rochas and Arriaga Stone). We can supply slabs and finished work to your requirements, direct to you.